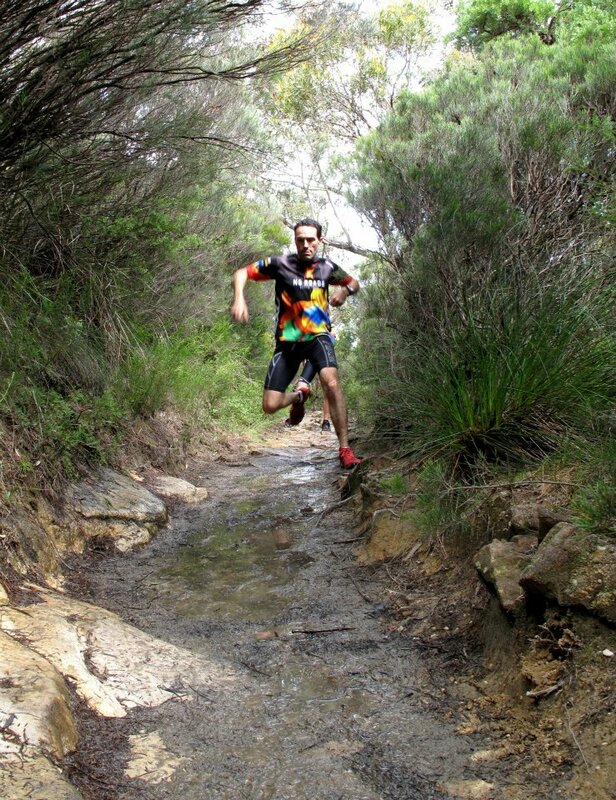 As part of our series of articles with the forthcoming Surf Coast Century, we thought we’d team up with one of the race ambassadors, Brendan Davies of UP Coaching to get this thoughts on to run the perfect 100kms. Brendan is the perfect man to go to on this, given his appetite for knocking out one of these every other weekend it seems! Just last week, he was part of the Oxfam Trailwalker team that broke the Sydney course record by over 40 minutes to set a new time of 11hrs 22mins. On paper that might seem fairly slow for Brendan and his 100km exploits, however if you’ve ever run along that course, you’ll know how technical and twisty it can get and appreciate just how quick that time is. That record won’t be going anywhere for a while! But back to the job at hand – how to run the perfect 100kms. If you’re still thinking about signing up for the Surf Coast Century, hopefully his article will give you some great pointers from one of the best in the business here in Australia. Also, don’t forget that our reader offer of 10% off your entry is still available until September 5th – details below on that. But what do you need to do in the first 75kms to make sure that you can feel good in that last 25kms? “It’s essentially about managing your body over the terrain. At the Surf Coast Century for example, you have quite a unique course with plenty of sand and rocks to negotiate. You should look for the easy way around the course and follow the line of least resistance. That might mean going the longer way around some parts of the course, but the more stress you place you body under in that first 75kms, the more it will come back to bite you in the last quarter. “Just as energy conservation is important early on in the race, so to is fueling the body right too. I generally follow a liquid nutrition plan as it’s easier for the body to process liquids than solids when you’re on the move. I will look to put around 300 calories into my body per hour to keep the levels just where they need to be, while also avoiding those sugar highs and spikes. “I’ll also grab a bit of protein too to help with active muscle repair while I’m running, and will do that through a few bites of a Hammer bar for example. As a guide, I’ll grab around 5-10grams of protein an hour. It’s a tried and tested formula for me, but for anyone else, make sure you trial what you’re going to do with your nutrition well in advance of the race. What works for one person, might not for another. Mental preparation is a huge part of having a successful 100kms race. If you lose focus, you could lose hours. “While the physical effort can take its toll, being mentally ready is a big part of running 100kms too. All too often, it can be too easy to think about the ‘what next?’ The amount of distance you have to go, which can really play havoc with your race. If you want to run well, break the course down into chunks. That could be as much as each checkpoint, or it could be each corner that you see ahead – it’s about whatever works for you. “In line with the above, you should also try to stay in the present as much as you possibly can too. By that I mean not thinking about how many kms you have to go or what the course is like further up ahead, it’s about what you’re doing at this precise moment. A good way of staying in the present is to focus on your running form and picking your feet up. If you’re focused on that, you’re focused on what you’re doing at that precise moment. 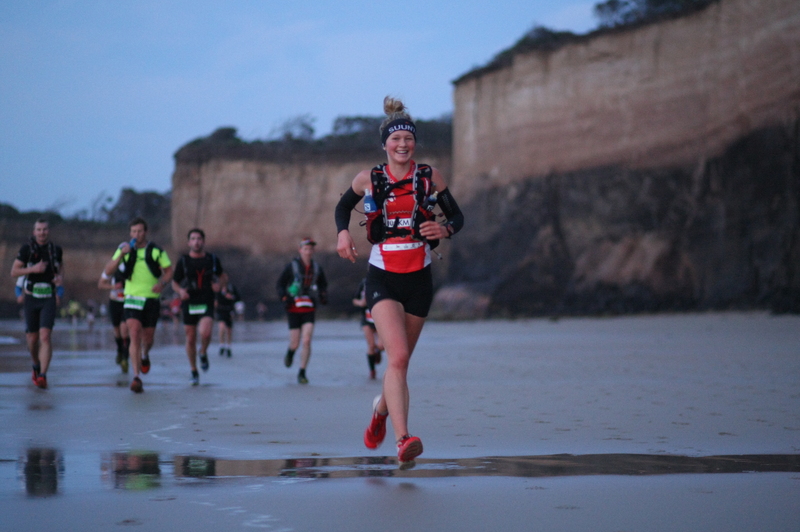 And finally, what about the Surf Coast Century, what three tips would you offer to someone running it for the first time? “Firstly, don’t underestimate the course. It might look fairly flat in its profile, but it’s what I would call a ‘creeper’, in that the hard work really creeps up on you towards the end. This is why making sure you’ve looked after your body well in the first 75kms is really important for that final quarter. “Secondly, prepare for the sand. As I mentioned before, conserving your energy is vital to running the perfect 100kms, so that means little things like looking for the hard sand near the shoreline if it’s safe to do so! Watch that tide! Keep your feet light and airy so to speak and lift the legs rather than push off the sand. Try to find footprints from others that have run through already as the sand will have already been compacted by them and easier to run on. Many thanks to Brendan Davies for his knowledge contribution to this article. This article forms part of the sponsored content series that we’re doing in conjunction with the Surf Coast Century. This means that this article is a paid for article by the organisers of the Surf Coast Century, Rapid Ascent but is written by Ultra168 who retain 100% editorial control over the article.